The beautiful island of Anglesey is known to the Welsh as Ynys Mon and is located off the northern coast of Wales. The island has around 125 miles of spectacular coastline, over two thirds of which has a coastal path which will take you through some incredible areas of outstanding natural beauty. The island has also been known by another name, Mon or Mam Cymru which means ‘Mother of Wales’; this was due to the islands rich fertile farm lands which were believed to be able to produce enough food to feed the entire country of Wales. Anglesey does not stand alone; there are several other islands including Holy Island which is where the main port of Holyhead is located. Holy Island is attached to the Isle of Anglesey at two points which are Stanley Embankment on the eastern side of the island and Four Mile Bridge on the western side. Aside from Holy Island there are also the islands of Porth Cwyfan, Llanddwyn and the isles of East Mouse, West Mouse and Middle Mouse which together are known as the Skerries. 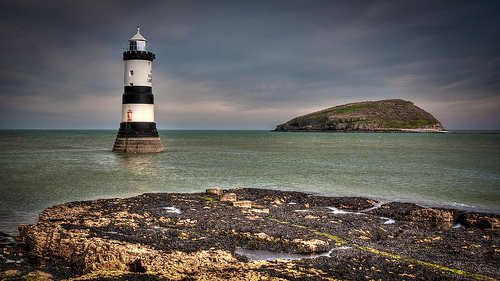 Then there are Ynys Moelfre, Ynys Dulas and Ynys Seiriol which is known to many as Puffin Island. Anglesey is a wonderful place to visit with the family. There are miles and miles of beautiful, clean beaches where the kids can make sandcastles to their hearts content, and when they are tired of that there is also a fantastic castle where they can pretend to be kings and queens of the island. The island is filled with wonderful countryside just waiting to be explored and there is more than enough space for the children to run themselves ragged. The miles of coastline offer plenty of opportunities for water sports and for those looking to discover more about the history of the island there are a number of museums which heave some great interactive displays. A rich copper vein was discovered on the island back in 1768 which when developed became the single largest copper production site in the world. What started off as a hamlet of six cottages which housed the farmers in the area, Amwlch developed into the busiest port in all of Wales from where the newly mined copper ore was transported around the world. Parys Mountain where the copper vain was located is now used as a backdrop for science fiction films and television series due to the appearance of the giant craters and orange, purple and red copper stained rocks, left over from the decades of mining that took place here. 2012 saw the opening of a new attraction related to this time of great prosperity on the island. ‘The Copper Kingdom’ contains artefacts from both the copper mining and the ship building that took place on the island, and boasts in its exhibitions a part of the original copper sheathing that was part of HMS Victory, Nelsons Flagship during the Battle of Trafalgar. The experience offers hands on interactive displays that all the family can be involved in.